AN “Islamaphobic” network hotspot name that has surfaced at UWA’s Crawley campus this week is currently under investigation by the UWA IT team. 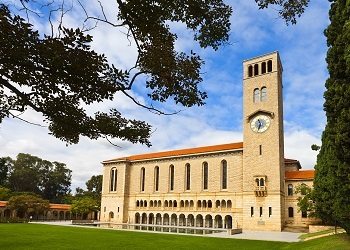 The Wi-FI hotspot ‘Mosque Shooter 2’, was reported to the UWA Student Guild on Tuesday. “UWA IT are looking at it – there is an ongoing investigation at the moment to try and remove it,” UWA Student Guild President Conrad Hogg said. A Wi-Fi hotspot is used to connect the internet on mobile, tablet or laptop devices and is visible to anyone within the radius of the network. Mr Hogg said the name had not yet been blocked but there was no current police involvement with the issue. He said the key priority for the guild was ensuring students and staff were well supported. “We are working with the university to investigate it further to see if their is anything else we can do,” he said. If you see anything suspicious on campus contact UWA Security on 6488 2222.